The Human Dimensions specialization seeks to improve the stewardship of ecosystems and natural resources by understanding and affecting people’s thought and behavior toward natural and managed environments. Environmental managers and researchers increasingly need to understand the human element—human behaviors, attitudes and needs—and incorporate these into natural resources planning. They also may be called upon to facilitate collaboration between groups, help resolve conflicts, create policies, serve as educators, and advocate for environmental issues. This specialization offers both natural resources and social science courses to provide a well-rounded curriculum focused on human-environment interactions. 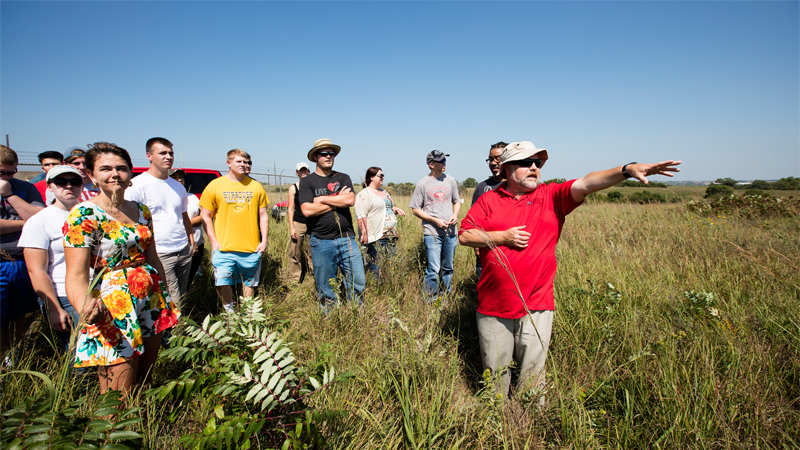 Participating faculty in other units, such as Agricultural Economics, Anthropology and Geography, Psychology, Law, and Community and Regional Planning offer a range of natural resource and social science study, allowing students to design individualized programs. Provide students a learning environment to promote an understanding of the human dimensions of natural resources, including emphases in environmental perceptions and behavior, planning, justice and law, evaluation, and economics. Formally recognize students who have attained an advanced knowledge of the human dimensions field as part of their graduate program. Support interactions and cooperation among the community of scientists and students working in the field of natural resources management. The importance of understanding human behavior in the conservation, management and restoration of natural resources, ecosystems and the environment has led to a greater emphasis on interdisciplinary and integrated research. For this reason, opportunities in business, government and non-governmental organizations have increased at all levels. 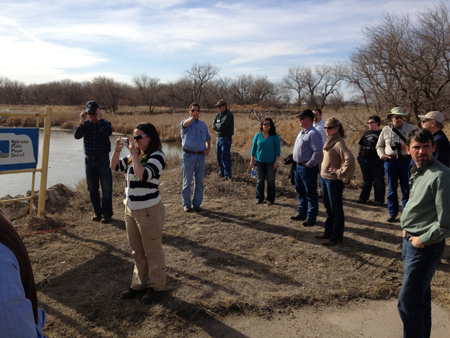 JoLeisa Cramer, with camera, assists with a Water Leaders Academy tour of a Platte River Recovery Implementation Program project. 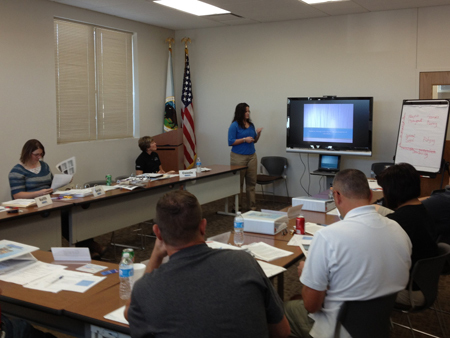 JoLeisa Cramer leads a discussion at a session of the Nebraska Water Leaders Academy. 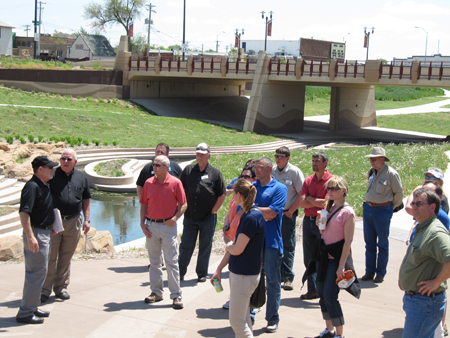 Water Leaders Academy participants listen to Glenn Johnson, far left, General Manager of the Lower Platte South Natural Resources District, describe the Antelope Valley Flood Control Project. 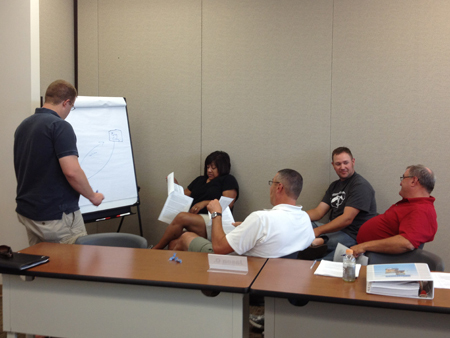 Water Leaders Academy participants discuss water policy issues. 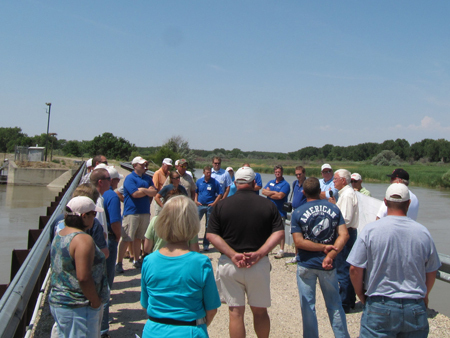 – Water Leaders Academy participants listen to John Lawson, US Bureau of Reclamation (retired), describe the Whalen Diversion Dam on the Platte River.